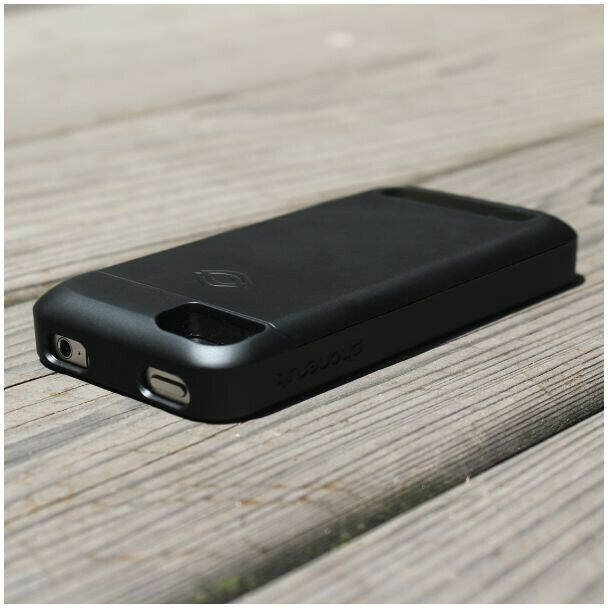 PhoneSuit describes their Elite Battery Case for the iPhone 4 as "The thinnest, fastest charging iPhone 4 battery case to provide over 100% power". And while we haven't tested the case for ourselves, the combination of appearance, color options, and minimal bulk give the case a solid head start. 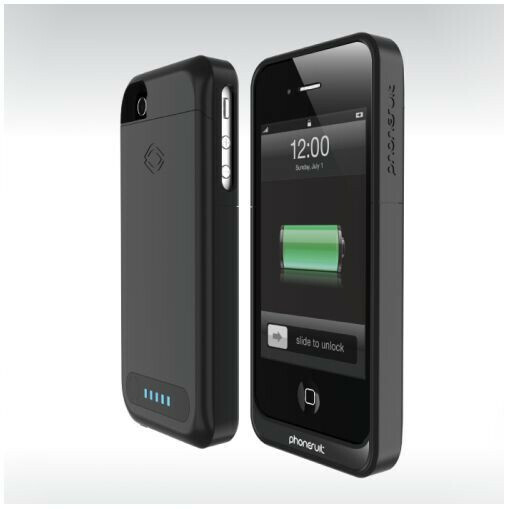 The Elite Battery Case provides 2100mAh of battery power, compared to 2000mAh with the Mophie Juice Pack Plus. And, supposedly, the 70% charging efficiency will recharge more than 100% of your iPhone's 1420mAh battery. 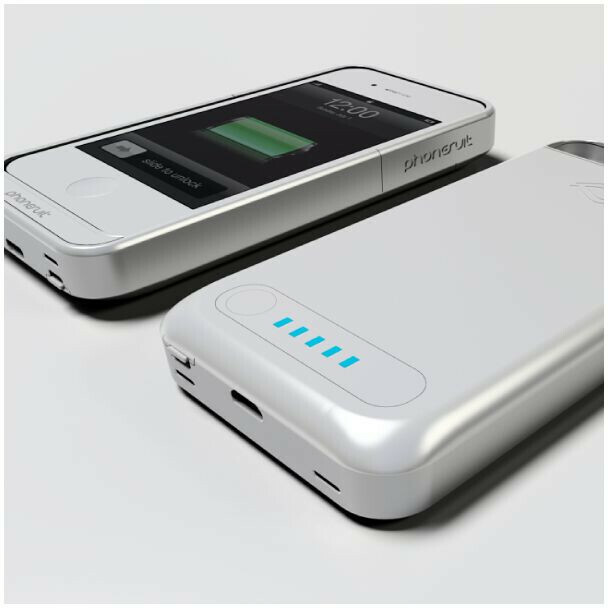 It can also fully recharge your overworked iPhone in under 2 hours. Like its competitors, the Elite Battery Case has a multi-LED readout, to monitor the case's battery life. But what's really special about the case? It's real selling point is that it is only 17mm (0.67 in) thick. To be fair, that's only 1mm thinner than the Mophie Juice Pack Plus, but when your device starts out at 9.33mm thick, every bit makes a difference. 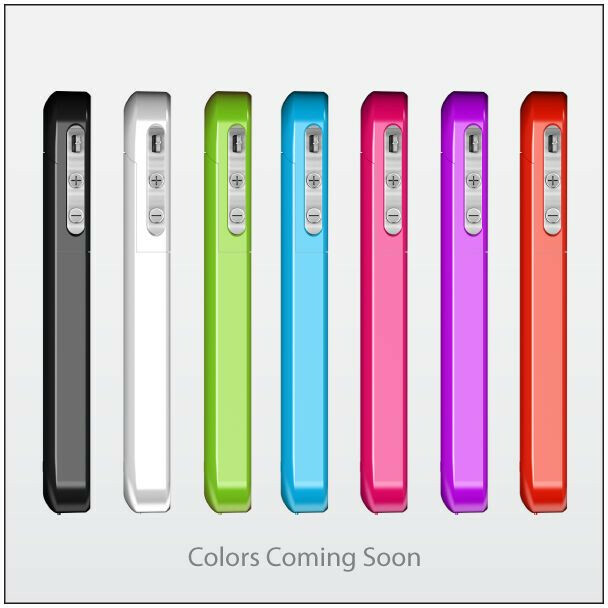 The Elite Battery case is also cheaper, at US$79.95, and will eventually include a number of attractive color options. Pre-orders are available now, shipping on June 20th. At the initial launch, only black and white are available, but the other colors (see below) are "coming soon". That's a pretty cool design. Most battery cases look like ugly bricks. I will have to check this one out. 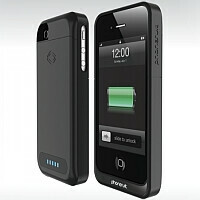 Do these cases offer the same technology that the SaFPWR Fusion battery case for the iPhone 4 offers? They have some fancy thing built in that is supposed to charge the phones battery better then just a normal charger. Apprently saving the phones battery and actually making it last longer and lose less juice every time it is recharged. batteries don't last forever.. duh!